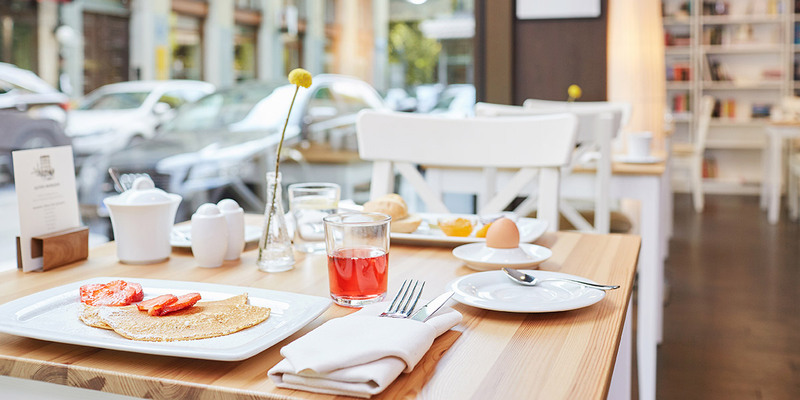 Rating: 87/100 Points based on 4315 verified reviews. 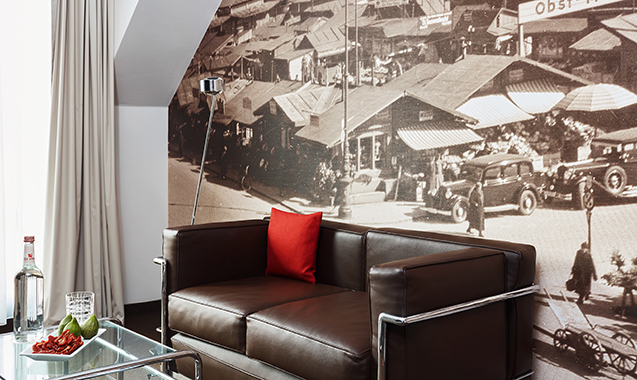 It doesn’t get any more central than this. 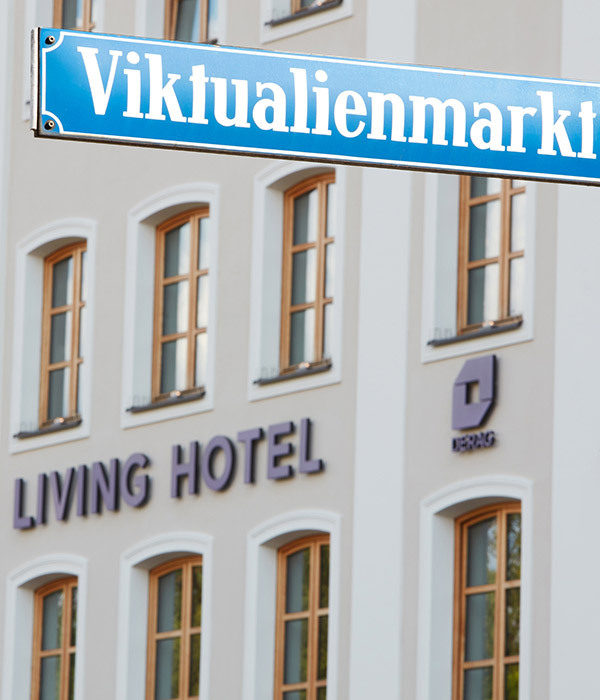 Our Living Hotel is right next to the Viktualienmarkt square and food market. 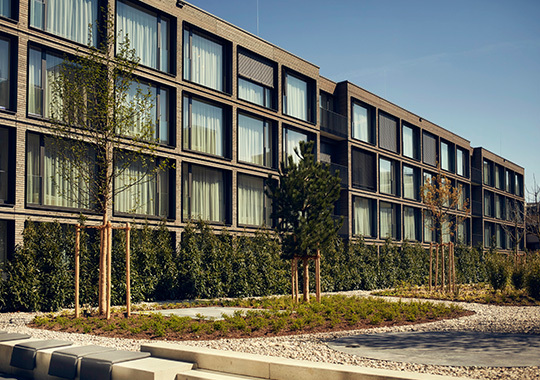 Munich is on your doorstep. 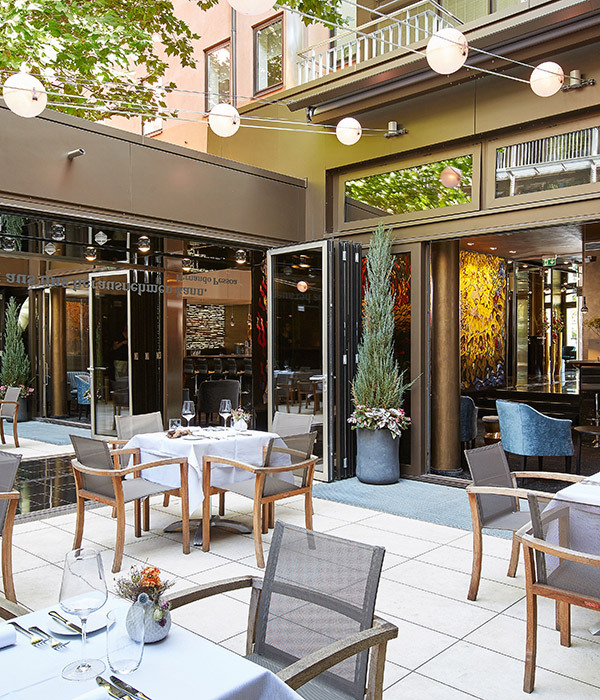 Beer gardens, trendy neighborhoods and sights are all right outside. 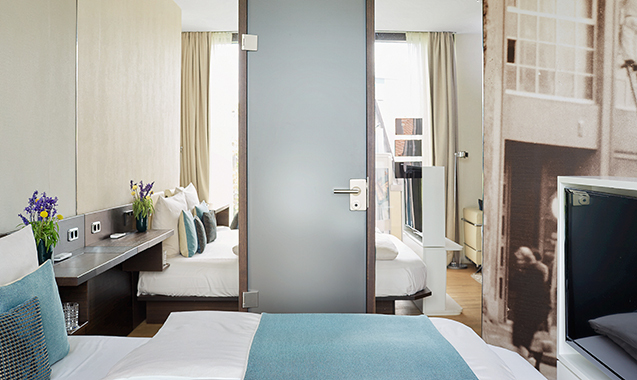 In the Living Hotel we anticipate you every wish. 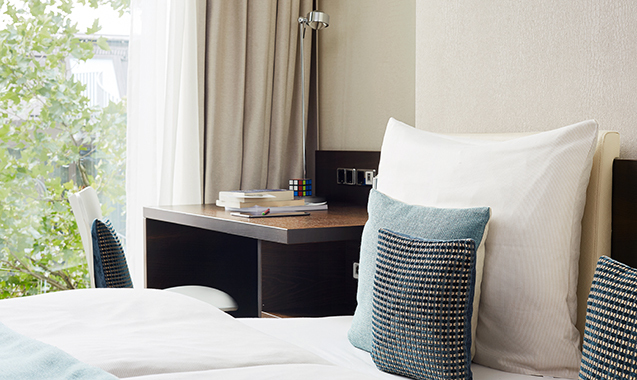 Whether you’re coming here to relax or to work, our focus is on you. 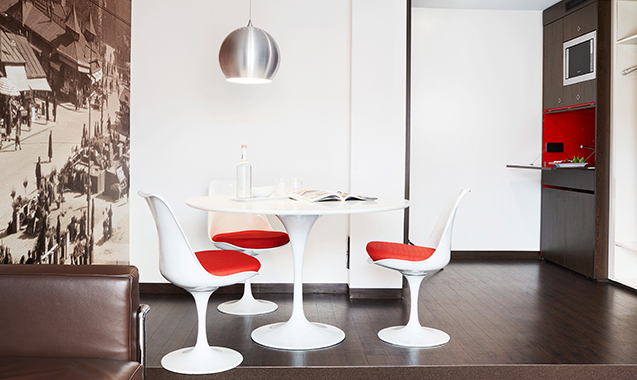 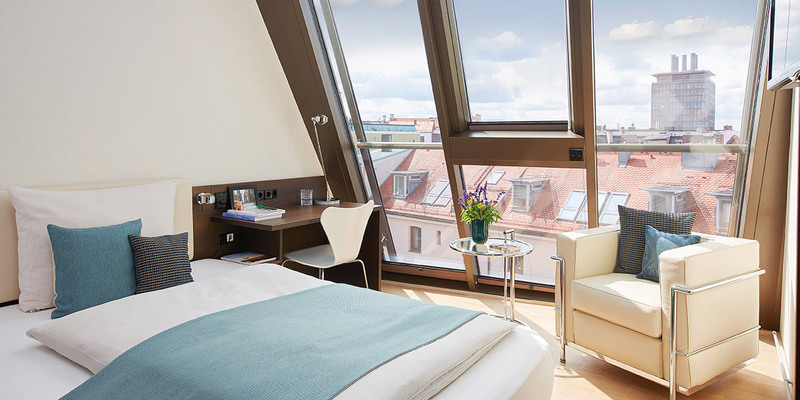 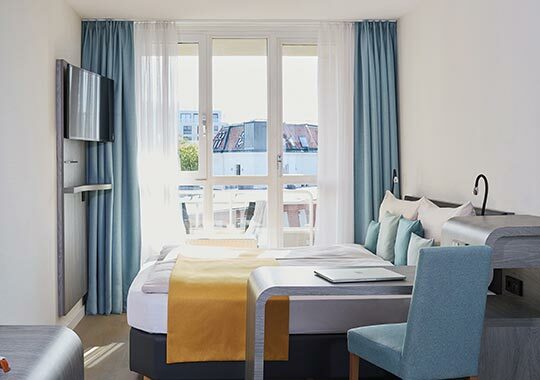 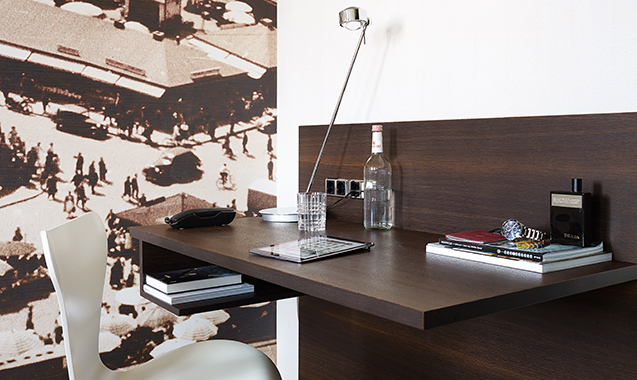 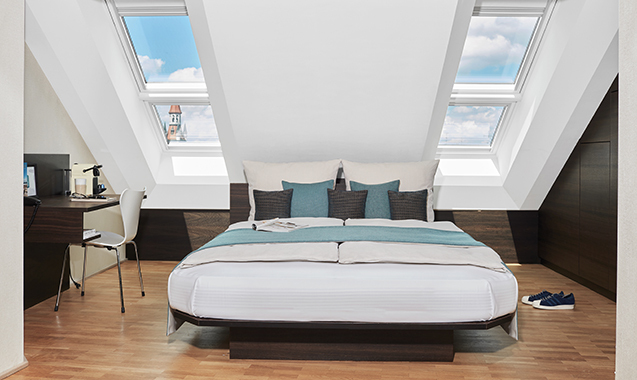 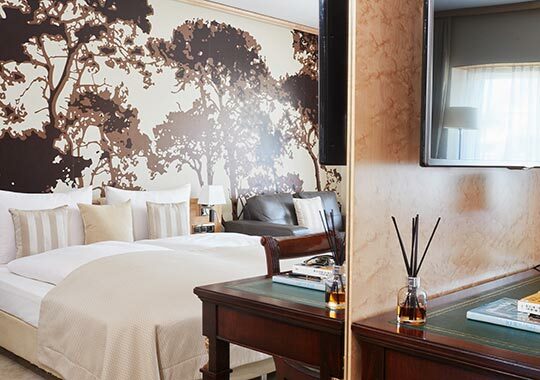 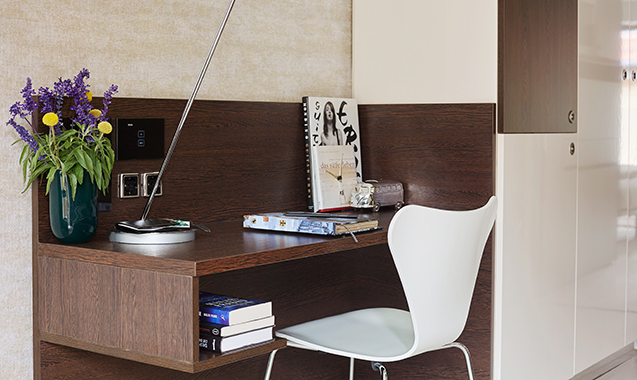 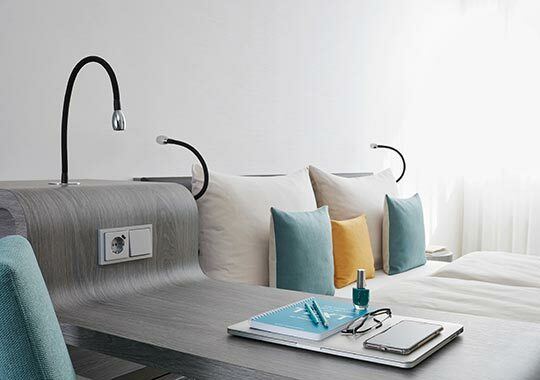 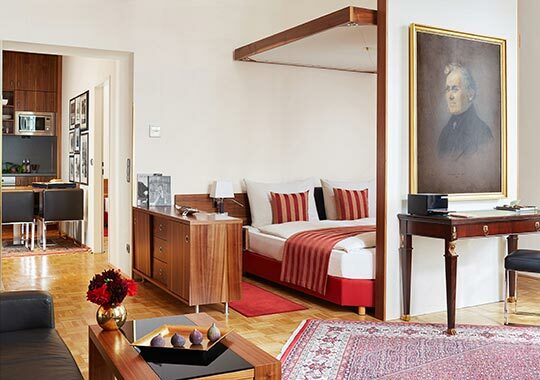 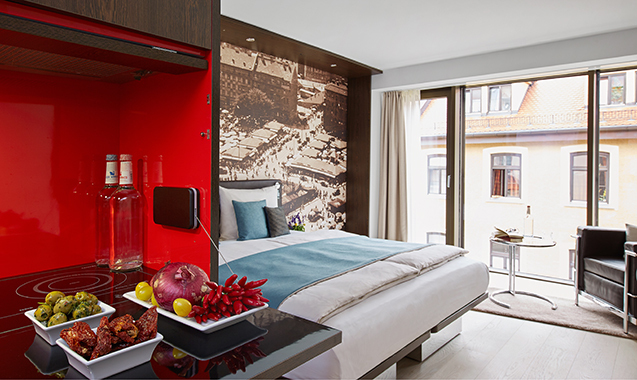 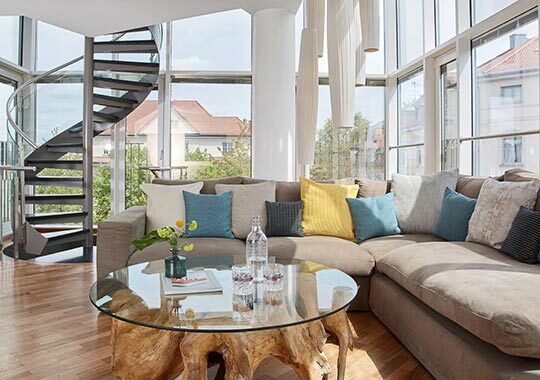 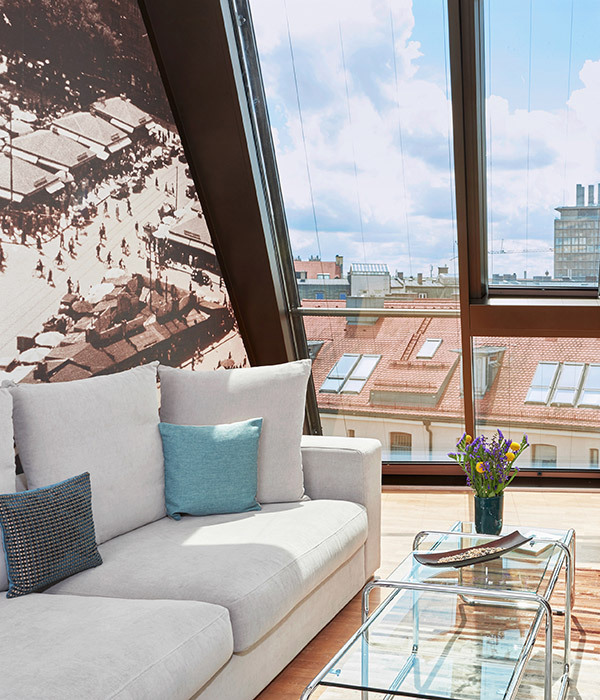 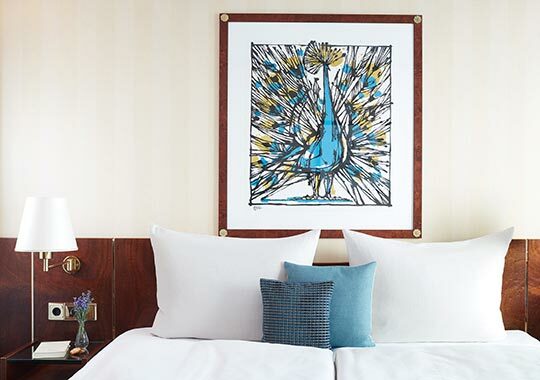 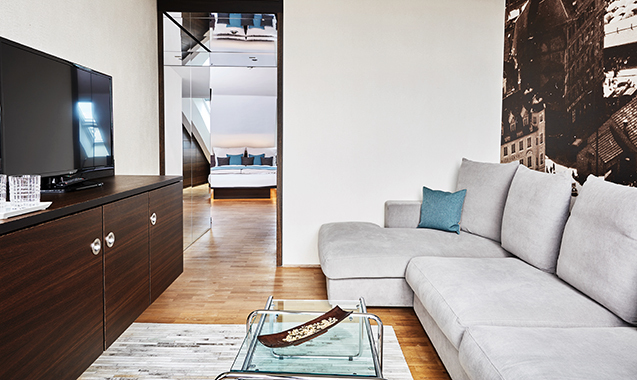 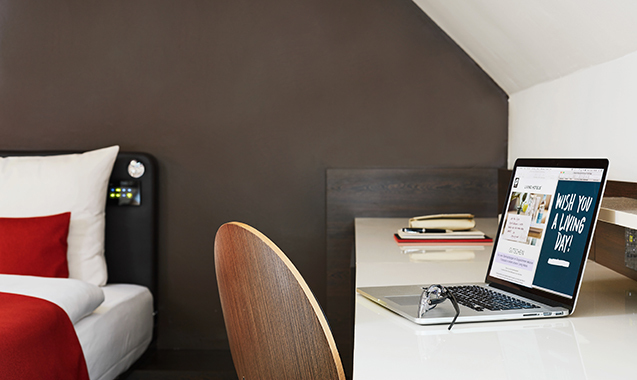 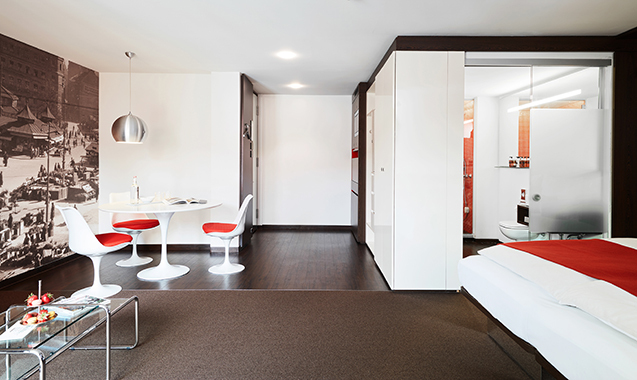 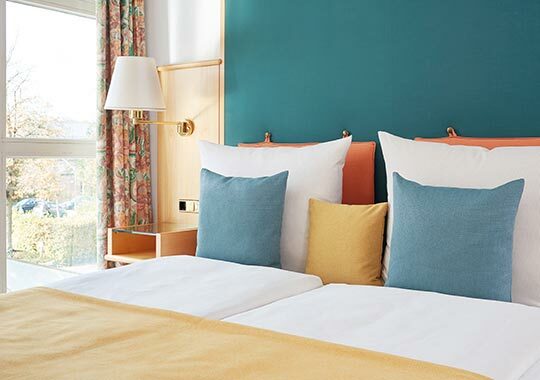 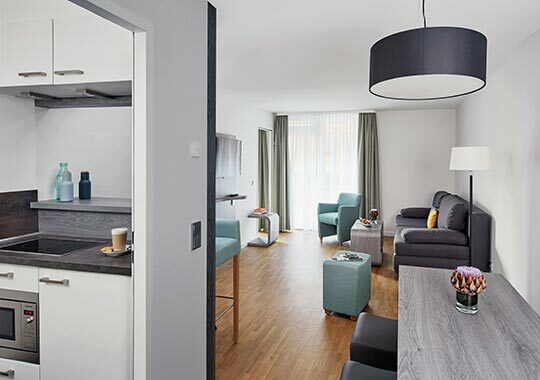 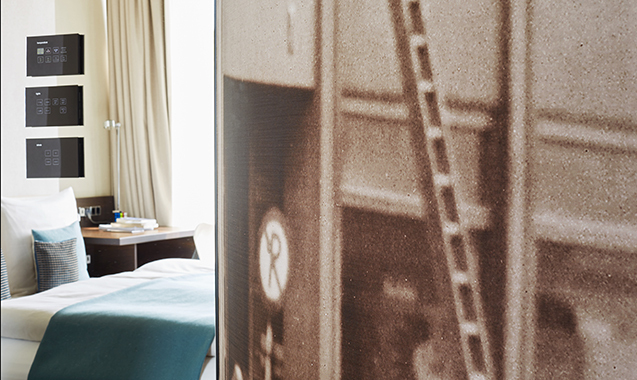 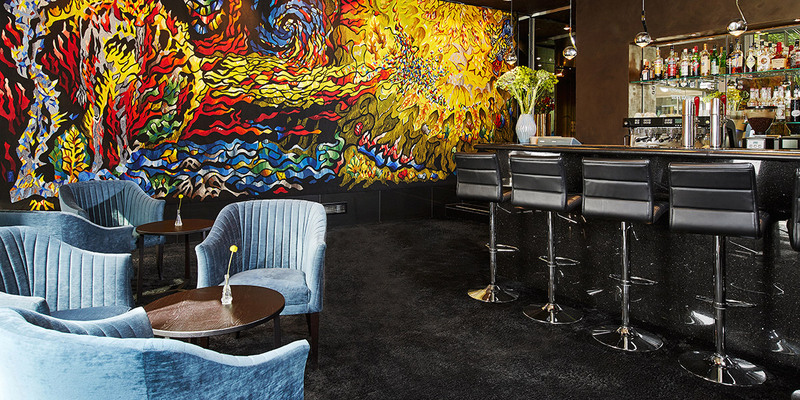 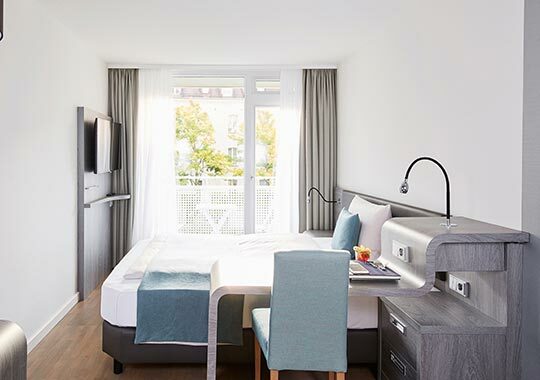 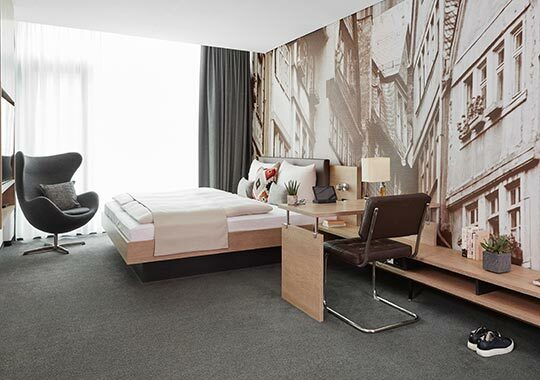 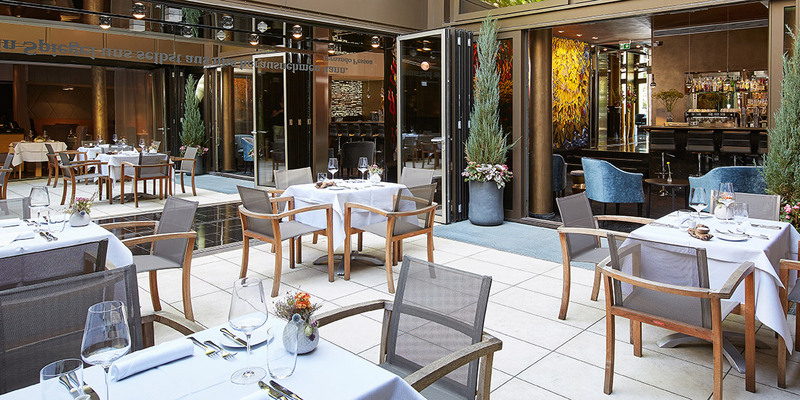 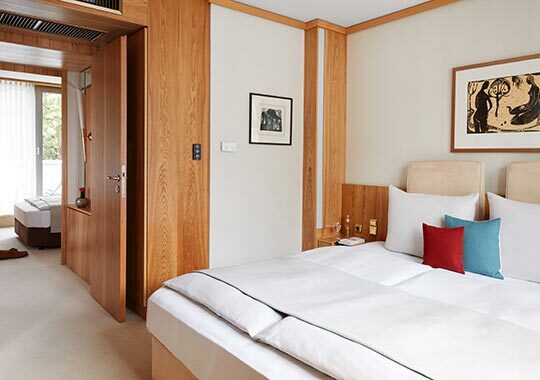 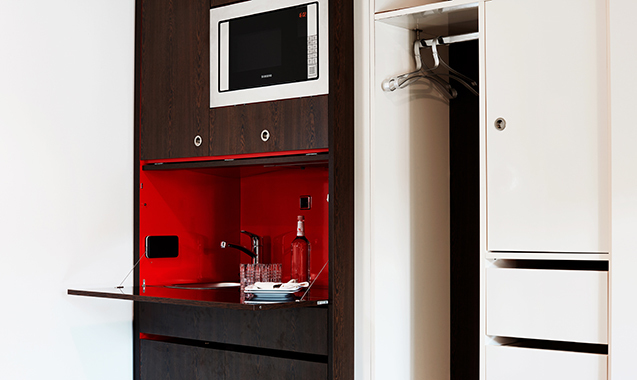 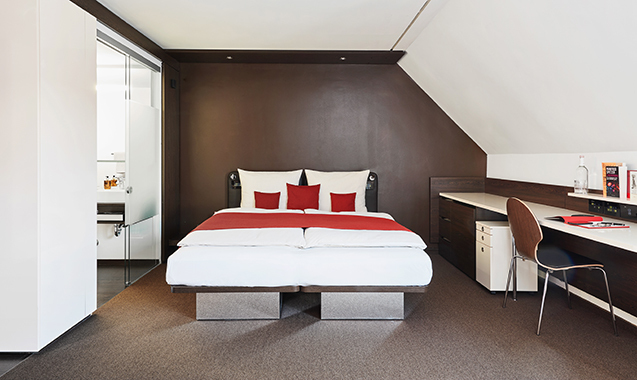 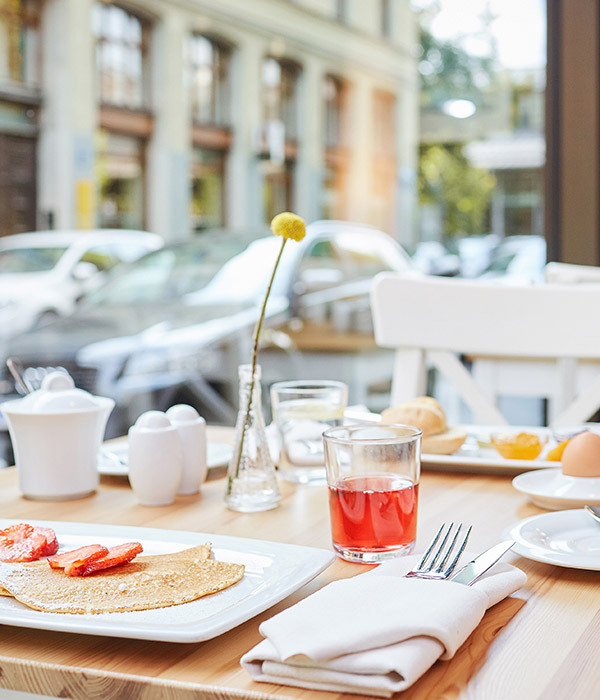 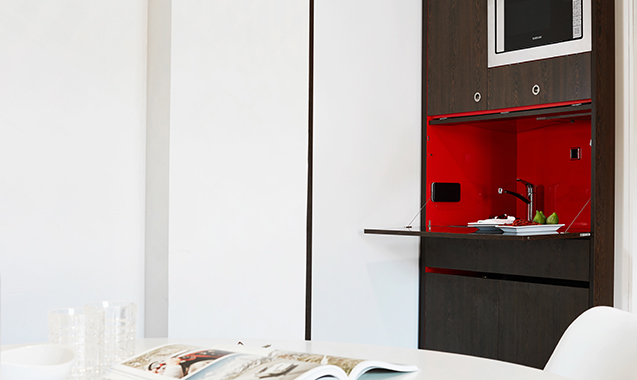 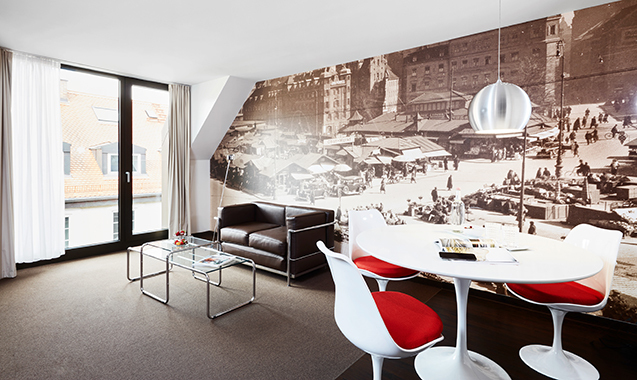 Open, modern, stylish – these three words are what distinguish the Living Hotel Das Viktualienmarkt from the rest. 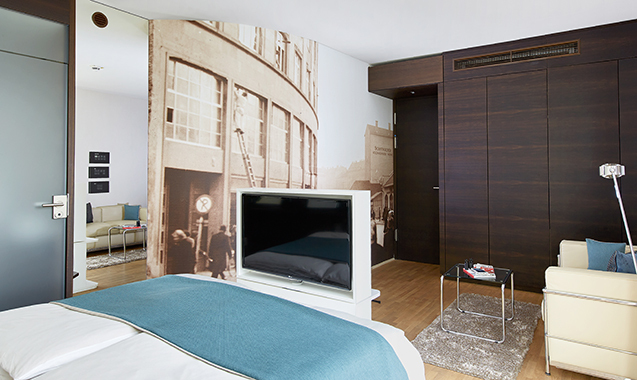 The furnishings and fittings in our rooms and apartments are perfectly in keeping with the spirit of the times. 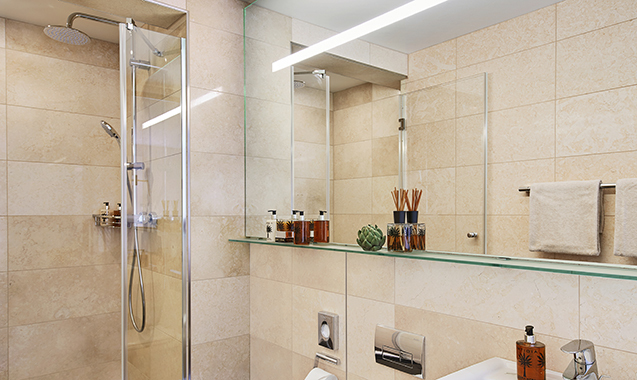 With clear lines, cool white, beige and elegant brown, you’ll feel as good as you do at home. 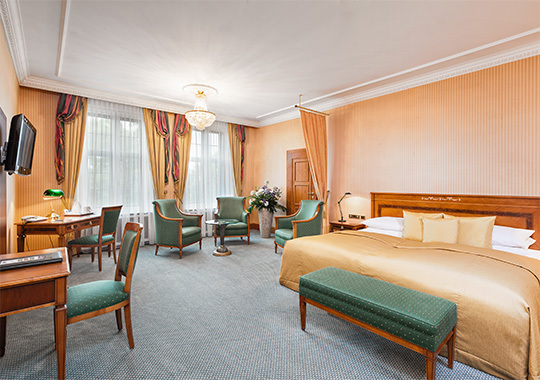 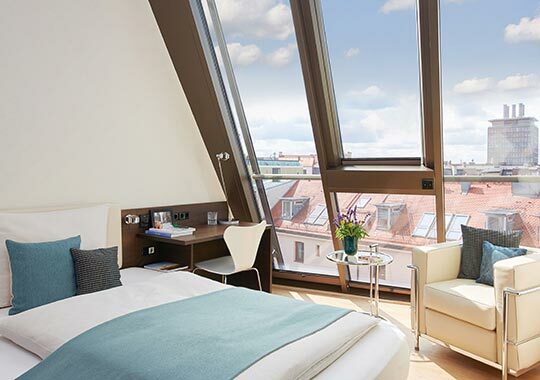 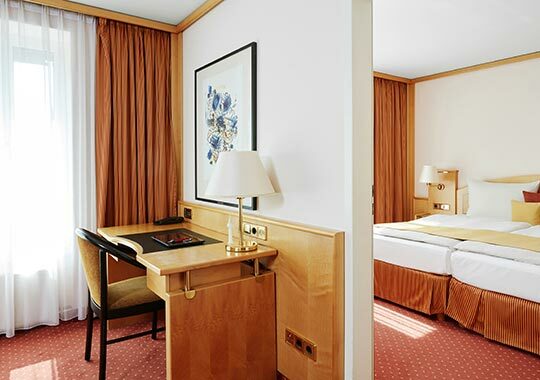 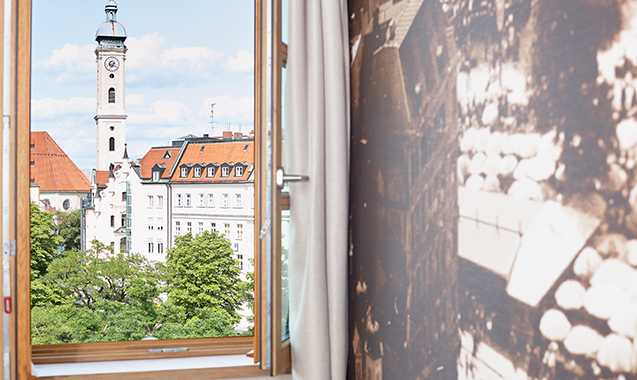 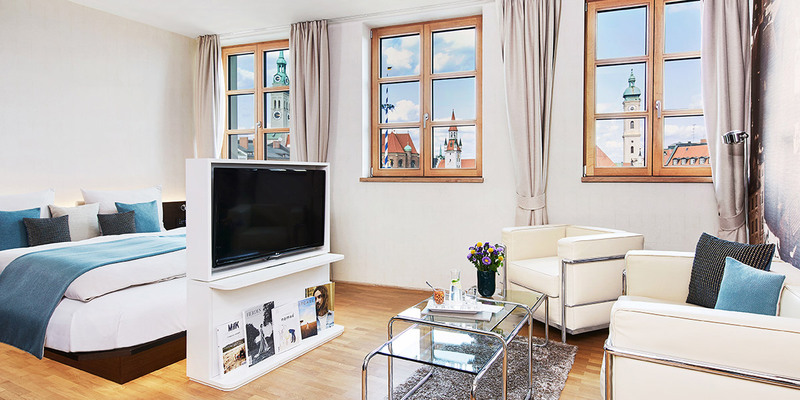 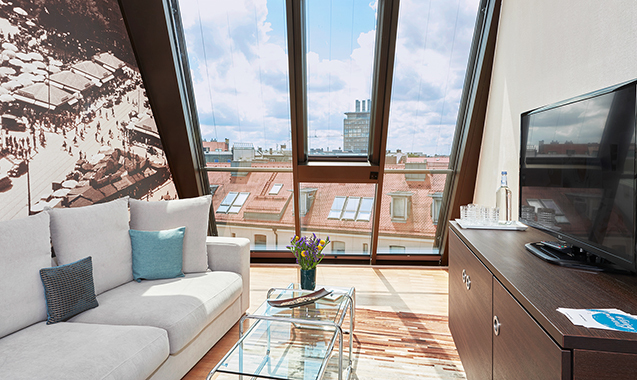 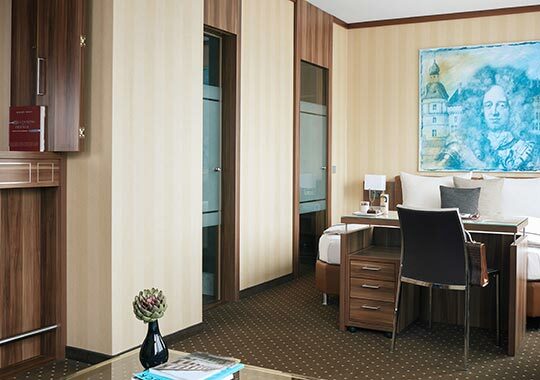 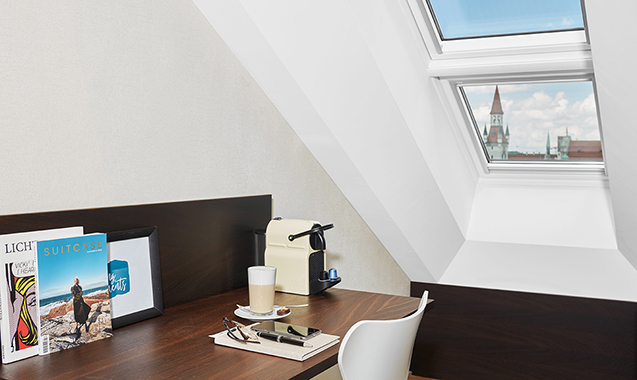 Especially when you take a look out the window: many of our rooms offer a direct view of the Viktualienmarkt. 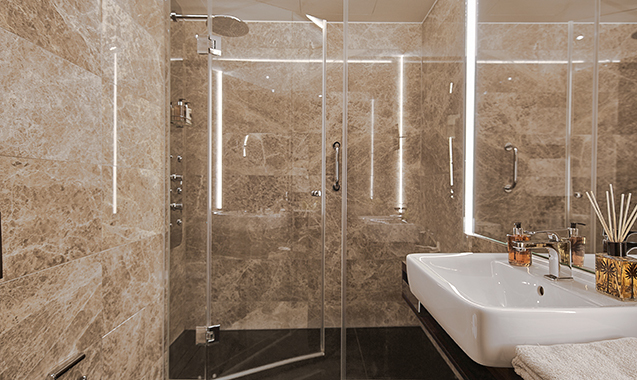 It’s simply breathtaking. 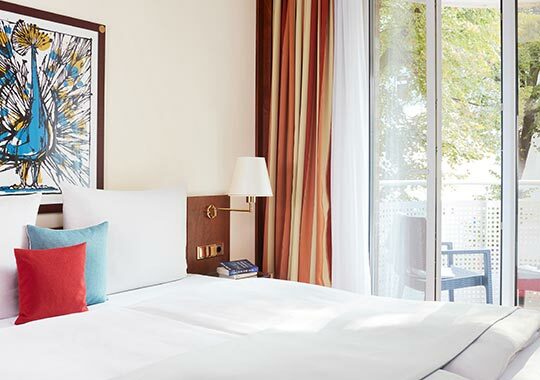 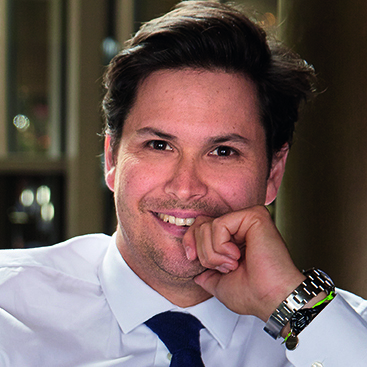 Our unique beds are another highlight – they take ergonomic sleeping to a whole new level, guaranteeing a perfect night’s sleep every time.